Forget the white and wheat flours you grew up using! Gluten-free flours offer new options to your baking experience. Many offer protein or fiber, along with important vitamins and minerals. There are an abundance of flours to boost your yummy treats. 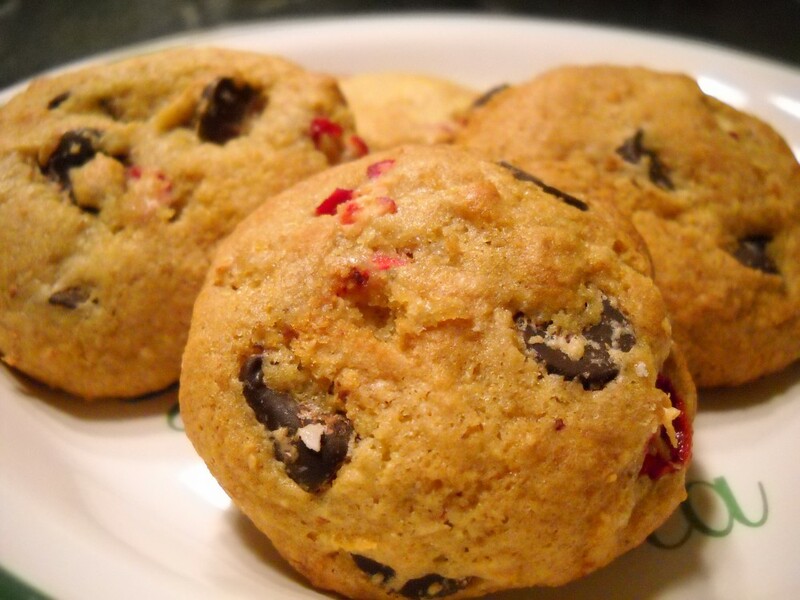 In gluten-free baking starches give fluff and lift to your goodies, just don’t go overboard. They should not be center stage in your recipes. White flours will still skyrocket your sugar levels, so always keep them in check. Typically, mixing a couple of flours works better than using one gluten-free flour alone in a recipe. This yields a much better result, and is really worth all the extra measuring. There are so many gluten-free flours to use and try in your favorite recipes. Some have strong flavors, soft flavors or even a lingering aftertaste, that you may or may not like. The mix you put together will change the texture and flavor of your recipe. Experiment and see which flours work best for you. Following are some great gluten-free flours that are relatively easy to find in your local grocery store, Whole Foods Markets, or on-line. *When using the rice flours, I try to stick to using organic to lessen the addition of pesticides and chemicals used in growing rice. Honestly, this is not a flour I use much. It has a very grainy texture, offers little nutritional benefits and will spike up sugar levels. With so many other options to try, it is not missed. This is a soft, pure, fine flour. It’s a good addition to cakes and muffins, good to add body and fluff. As a white rice flour, this shouldn’t be the center stage flour. It does contain a very low dose of potassium and protein. This flour gives the recipe a great lift with added nutrition. Yet, it can leave behind an unpleasant aftertaste. Therefore, use less of this flour than others in the recipe, or add additional flavors like orange or lemon zest. This flour is high in protein, and offers both calcium and a small amount of iron. This flour is made from the smallest grain in the world, a highly nutritious whole grain. It adds fiber, protein, calcium and iron to your recipe, and has a nice mild flavor. Although it can be costly, it is a great addition to gluten-free baking. Use this flour to add a good nutritional touch to your baked goods. This flour has a flavor all its own. Although it tastes a bit nutty, it can overpower the recipe. Being high in iron, along with containing protein, fiber and calcium, it certainly can enhance your baked goods. Many people are allergic or intolerant to soy, so be careful using this flour. Try to look for Non-GMO or organic soy to keep your health in check. This flour has a very strong flavor, but it does offer additional protein and moisture to your baked goods. This flour has a mild flavor and adds a soft texture to your goodies. It is easy to bake with, mixes well with other flours and adds a good touch of nutrition. It helps keep the end result moist, which works well in muffins and cakes. Quinoa is a nutritional powerhouse, offering a great way to add fiber and a complete protein to your recipe. It has a unique flavor, although different brands/types of quinoa seem to offer stronger or softer flavors. This is typically an expensive flour. Although, according to eatingwell.com, you can try to make your own flour by grinding quinoa in your coffee grinder. This confuses people. There is no wheat in buckwheat, so this flour is safe for gluten-free diets. It also adds a good nutritional punch along with a strong flavor. Mix it up with other flours so it doesn’t take over the recipe- unless, of course, you love the flavor. Both of these starches are useful in your gluten-free baking. 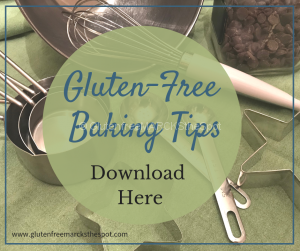 They add a wonderful fluff and form to your gluten-free baked goods, giving that bounce needed where many gluten-free recipes just flatten and flop. Don’t make these the front standing flours of your recipe, especially potato starch,as it will raise your sugar levels. This flour is more widely used today, especially within the Paleo Diet. It offers good nutritional value with added fiber, iron and calcium. It has a wonderful flavor. This flour really soaks up the moisture in the recipe so always add more eggs or moisture when using, especially if you don’t want to end up with a dried hockey puck! When used correctly, it yields a nice result. Definitely one to try. There are many bean flours to try in your gluten-free baking. Besides chickpea flour, try black bean, white bean, and fava bean flours to name a few. 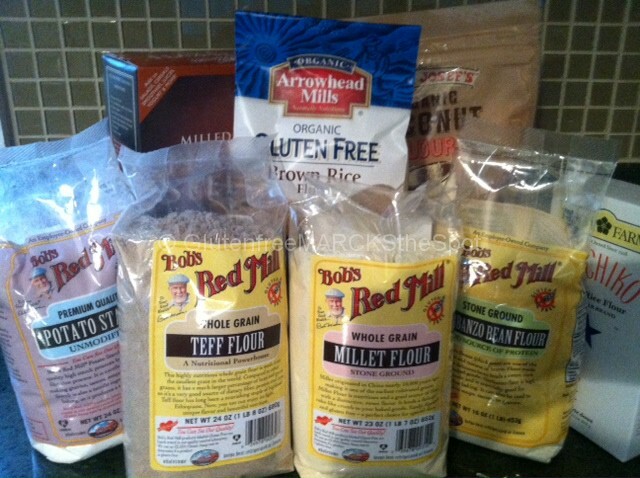 All of these are great flours to add protein, fiber and iron to your baking. There are multiple nut flours you can use in gluten-free baking as well, as long as you aren’t allergic. Try almond flour, cashew, walnut, and pecan just to name a few. These nut flours add protein, fiber and healthy fats to your diet. Although not a flour, this ground seed is a great way to boost the nutritional benefits of your baking. A couple of tablespoons to ¼ cup works well depending on the recipe. If you use too much, the nutty flavor will take over the recipe. A terrific addition with multiple health benefits by containing fiber and omega-3 fatty acids. 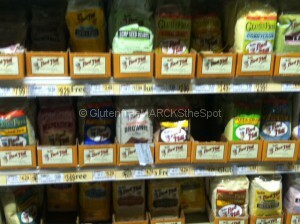 As you can see, there is a multitude of delicious and nutritious gluten-free flours to add sparkle to your baked goods. The list is long, yet there are still more. Choose a few and give them a try. I recommend blending two to three flours to get the best result. 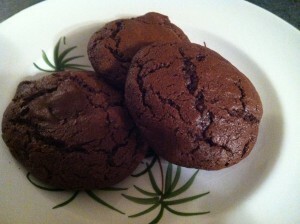 Of course, gluten-free baking doesn’t always come together without the addition of gums. Without guar gum or zanthum gum added, your recipe will usually fall apart and crumble right in your hand. Pancakes don’t work without them. You’ll have to experiment to see which one works best for you. Choose a couple of flours and try a new recipe! 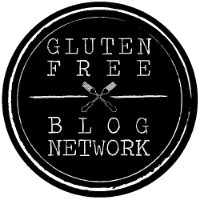 What is your favorite gluten-free flour? Stop back and let me know what worked for you! Disclaimer: The views shared here are in no means meant to replace that of your doctor. 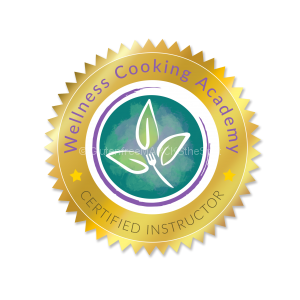 I am a Certified Integrative Nutrition Health Coach, here to encourage, support and inform you on living gluten-free. I am not a doctor and do not diagnose, treat, prevent or cure. Always seek the advice of your own Medical Provider regarding any questions or concerns you have about your specific health, or any medications. The information shared is for educational purposes only and is not allowed to be reproduced, replicated or sold.The advice given per flours is from my own experiences in using and determining what worked for our family. I am in no means endorsing one or more companies, or an affiliate. If I mention a company I liked, it is solely my opinion. This entry was posted in Gluten Free Living, Recipes and tagged gluten-free baking, gluten-free flours. Bookmark the permalink. Thanks Stephanie. Great question. 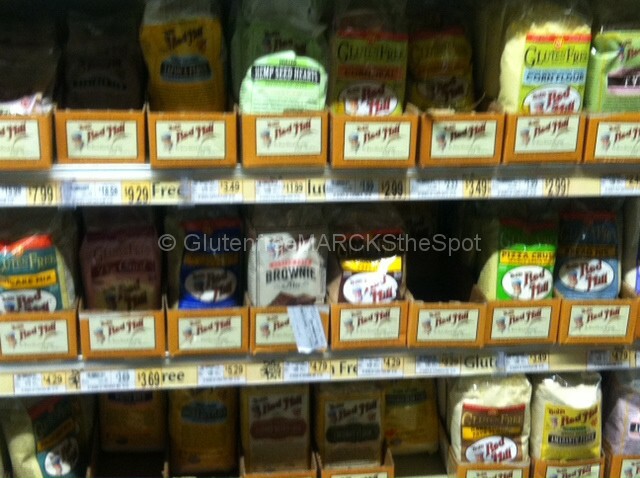 Being in PA, you can easily find most of the flours listed at Wegmans, Whole Foods, as well as other local grocery stores- look in the Natural Food area of the stores. Trader Joes also carries some of the flours. Good luck and Happy Baking!